The Nursing Profession has No Research on Orphans?? Plain Talk: Orphans are left out of nursing research. This is not right, nor defensible. For all that nursing has done through the ages to champion the cause of the poor, for equal health care for all people, and the rights of vulnerable populations for health care, how have orphans been left out of this quest? I find this absolutely amazing. The most vulnerable population on earth has been ignored by the nursing profession. My dissertation research is on child-headed households (orphans who live alone with siblings), and there is no literature authored by nurses. Okay, maybe a couple of articles. But not a body of rigorous research. Research on orphans exists, but it has largely been authored by sociologists, anthropologists, and psychologists. With 153 million orphans in the world how have we, as a profession, managed to ignore them as a whole? Where are the nurses who would fight for the rights of legal protection for orphans? Where are the nurses who would take up the cause of conducting research on the well-being and health of orphans? 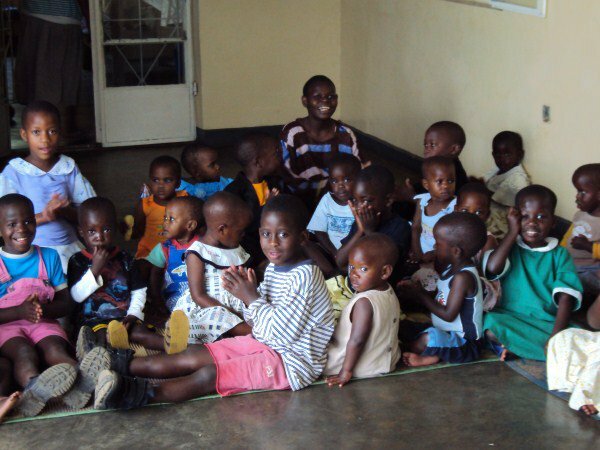 Where are the nurses who desire to find ways to improve healthcare access for orphans? Where are the nurses who would partake in global interdisciplinary collaboratives to ensure the best life for orphans? Where are the nurses who would find novel ways to prevent orphanhood? Where are the nurses who would go far away from their home to seek out these children and do it knowing they will never get a paycheck for it? No one on earth needs good people more than orphans. No one on earth deserves healthcare research to improve their lot in life than the most vulnerable: Parentless children. Forgotten children. Street children. OUR CHILDREN. Yes, our children. Because you never know when one of these little ones might become your child. One of the children in the photo above is my grandson and and 2 of the little girls are likely coming soon. So now you know I have not only a professional stake in the cause of orphans, but also a very personal one. I think the lack of orphan research in the nursing literature attests to what actually drives our research agenda: Funding. My life after PhD (May 2013) is committed to orphan research. Even if I have to beg you to fund me.